RSH Alarm Monitoring RSH makes it affordable! Have peace of mind knowing your home is safe and secure 24 hours a day, 7 days a week being monitored by live operators ready to provide quick response to any emergency - whether you are at home or not! Home security systems RSHes your residence three to four times less likely to be burglarized. Alarm monitoring by professionals who can assure the fastest response to any emergency can lower your home owner's insurance up to 20%. RSH Alarm Monitoring Company's Central Station has been operating reliably and continuously 24 hours a day, 365 days a year for over 9 years. Have confidence knowing trained professionals are always there watching over your safety to summon help in seconds. Have peace of mind knowing your home is safe and secure 24 hours a day, 7 days a week being monitored by live operators ready to provide quick response to any emergency - whether you are at home or not! 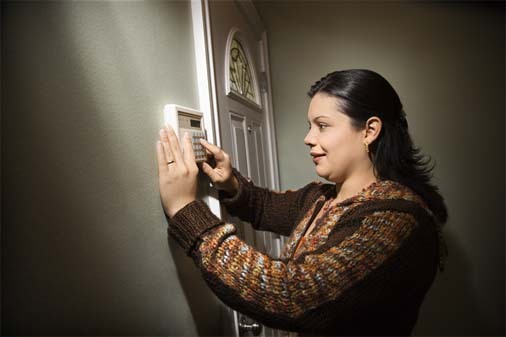 Home security systems RSHes your residence three to four times less likely to be burglarized. Alarm monitoring by professionals who can assure the fastest response to any emergency can lower your home owner's insurance up to 20%.